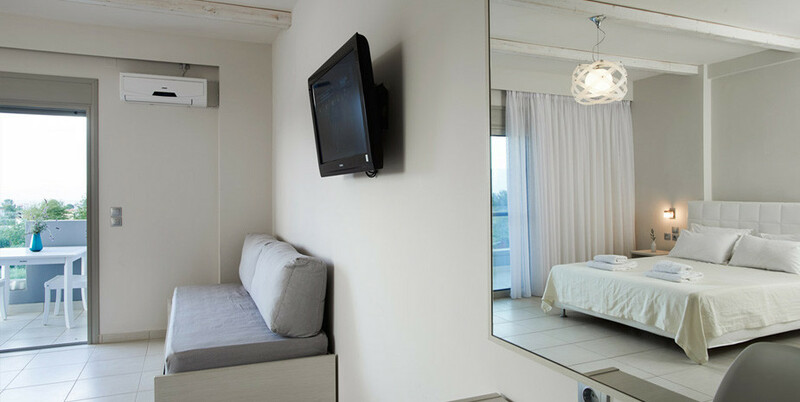 Our hotel features spacious and elegant rooms with minimal mood that can offer you moments of relaxation. The double and triple rooms have either a view of the pool or a side sea view. The family rooms have a front sea view. 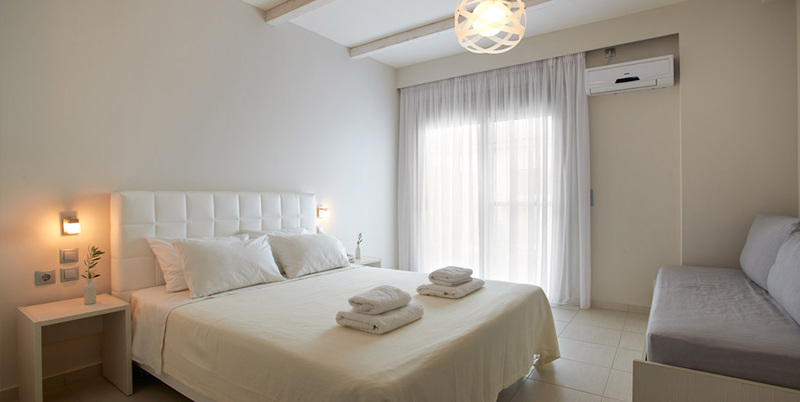 Our double rooms include a double bed and a single bed and can host up to 3 persons.